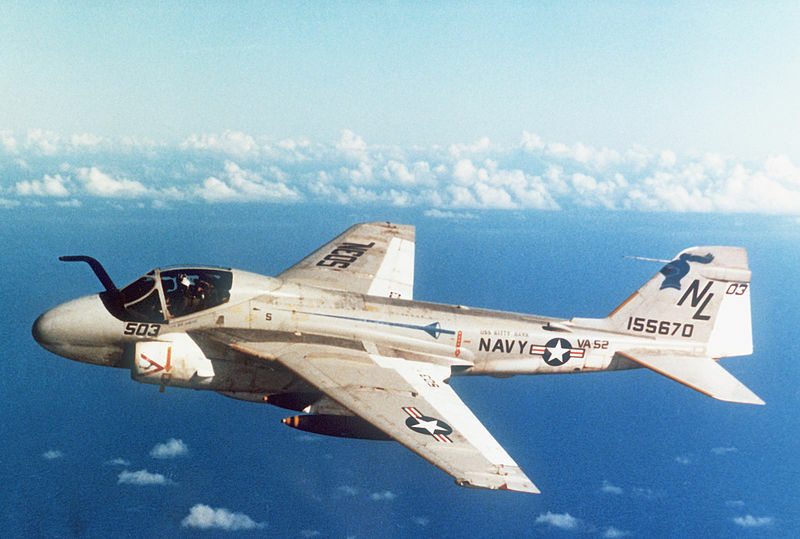 On this day in 1960 the A-6 Intruder had its maiden flight. Designed by Gruman Aerospace, it served as an all-weather medium attack aircraft from 1963 until 1997, replacing the piston-engine driven Douglas A-1 Skyraider. As it neared retirement, its precision strike mission was taken over by the venerable F-14 Tomcat. The A-6 continues to serve in an electronic warfare capability as the EA-6B prowler with the United States Marine Corps having previously served with the USN as well until replaced by the EA-18G Growler. The A-6 was used extensively in the Vietnam War and also flew over 4700 combat sorties in Operation Desert Storm. It also patrolled the Iraqi no-fly zone and was used to provide air support for US Marines during Operation Restore Hope in Somalia.